Autumn is coming and Halloween is just around the corner. 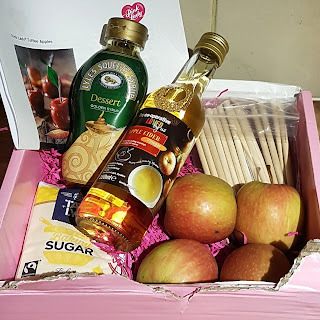 Pink Lady apples sent me a kit to make their special Toffee Apple Recipe. Pink Lady are one of my favourite varieties of apples, so I couldn't wait to give it a go! I also made my own, slightly more Slimming World friendly, apple pops. 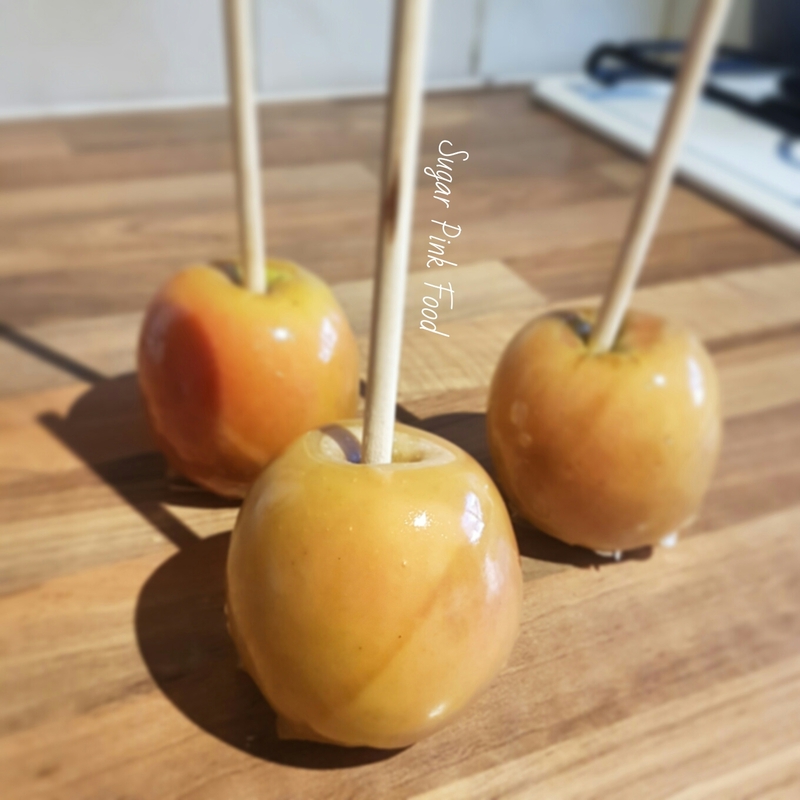 The toffee apples came out great! 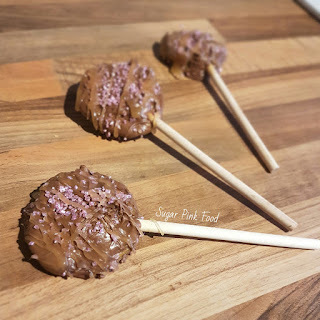 The toffee was not too hard and was perfectly coated. I even made a toffee pop with the leftovers! You can add other toppings of your choice. Slice the apples into 3cm thick circular disks. 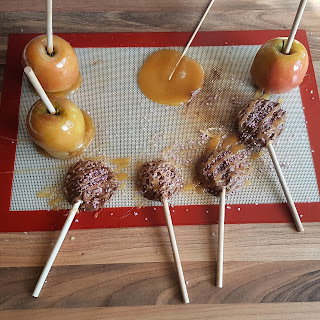 Add the coconut oil to the melted chocolate, this helps it coat the apples. Piece each apple with the stick and dip into the chocolate. Repeat until all apples are coated.